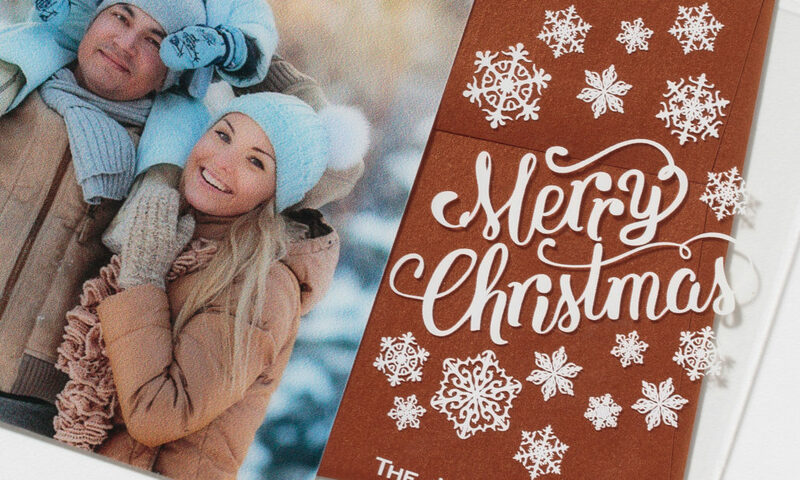 This digital photo card is printed on clear, bendable plastic with a scripted Merry Christmas and a flurry of modern snowflakes. All printing is on the back, so the front stays smooth and shiny. 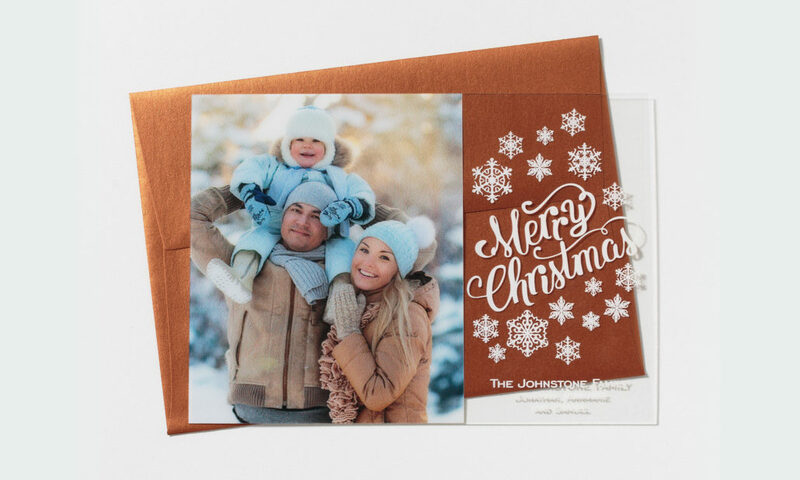 Design and envelope color can be customized to enhance your image.